Obituary for Ellsworth A. Harrison | House of Wheat Funeral Home, Inc.
Ellsworth A. Harrison, age 84, born March 31, 1934 in Baltimore, Maryland to the late Horace and Anna Jones Harrison, entered into eternal peace Wednesday, January 9, 2019 after an extended illness. Ellsworth served in the military with the United States Air Force and upon departing from military duty he became a civilian employee with Wright-Patterson Air Force Base. He retired with over 34 years of service. 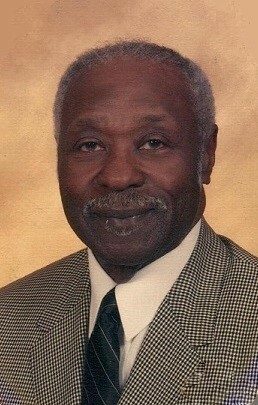 Ellsworth was the last remaining male Charter Member of Calvary Missionary Baptist Church. He was a dedicated member serving for many years as a Trustee, Church Photographer and member of the Security Team. He was also an avid bowler who enjoyed summer and winter leagues. He enjoyed traveling and meeting people. In addition to his parents, Ellsworth is preceded in death by his brother, Daniel Jones, and sister, Sylvia Baker. Ellsworth leaves to cherish his memory his devoted wife of 60 years, Delma Graves Harrison; loving daughter, Sharon (Clarence) Abernathy of Indianapolis, IN; sister, Estella Harrison of Baltimore, MD; brother-in-law, Gene (Judy) Graves of Baltimore, MD; grandchildren, Stacy Abernathy, Sierra (Chris) Woods, Ambria Abernathy; great grandchild, Wesley W. Woods of Indianapolis, IN; a host of other nieces, nephews, relatives and beloved friends. Funeral service will be held 11 am Friday, January 18, 2019 at Calvary Missionary Baptist Church, 2067 N. Gettysburg Ave. Rev. Jeffrey Brown officiating. Visitation 9 am at the church until time of service. Family will receive friends one hour prior to service. Interment Dayton National Cemetery.